The 3D Printing Evangelist: Google group for 3D models for the visually impaired is up. Google group for 3D models for the visually impaired is up. We have now put up our 3D printable model files exchange to benefit teachers of the visually impaired as part of our #HackadayPrize2016 entry. - Teachers of the visually impaired put up requests. We have posted several we had in hand, and created one set of design files as our volunteer seeding of the process. 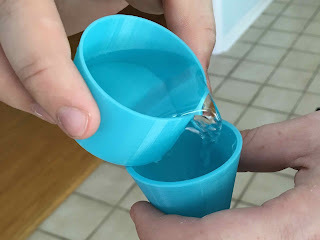 - Schools who want to have their students do some #3dprinting service learning for their students reply to the request and go off and create the designs, and post them to the design repository of their choice. We have more details in the group. Group registrants should be over 18.